The hardware to attach the storm collar is all stainless steel for superior strength. 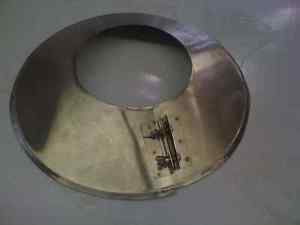 This storm collar is stainless steel, 304 grade Stainless Steel so it will never rust. If you are looking for an attractive and sturdy addition to your stovepipe, this is it! 4 Inch Stainless Steel Stove Pipe Double Male Connector=Made in Maine, USA!! This connector is made of 304 stainless steel with an attractive polish finish. Made in the USA in the great state of Maine! Single Wall Connector Pipe. 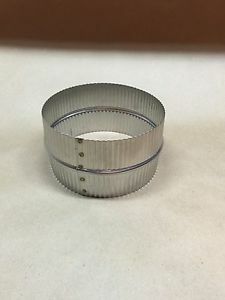 4 Inch stove pipe Draw Band Collar — Made in Maine USA!! 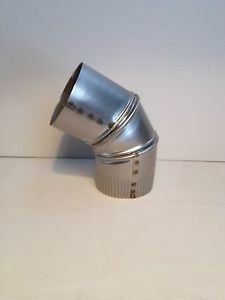 This piece allows you to connect two female ends of single wall stovepipe together without drilling holes using screws. The hardware to attach the draw band collar is all stainless steel for superior strength. This is a 24 gauge 4 inch 30 degree elbow for round stovepipe liners. The seams are welded, not riveted for superior strength. This elbow is stainless steel, 304 grade Stainless Steel so it will never rust. If you are looking for an attractive and sturdy addition to your stovepipe, this is it!! The elbow will come crimped on one end to fit inside a 4″ single-wall stovepipe. The seams are welded, not riveted for superior strength. This elbow is stainless steel, 304 grade Stainless Steel so it will never rust. If you are looking for an attractive and sturdy addition to your stovepipe, this is it! 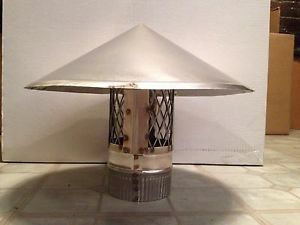 4 inch stove pipe Stainless Steel Chimney Cap — Made in MAINE, USA!! I label it a weather cap because if you live in Maine like I do, you have more types of weather than rain! Snow, sleet, hail, etc., will also be blocked as well as pesky critters that want to make your chimney a seasonal home! 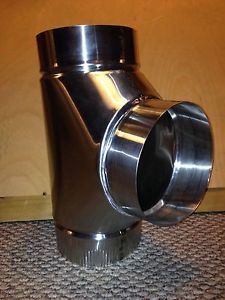 4 Inch stove pipe Stainless Steel Storm Collar — Made in MAINE, USA!! 4 Inch Stove Pipe Tee Cap — Made in MAINE, USA!! 304 STAINLESS STEEL, so it will not rust! The right size for the right price! Single Wall Connector Pipe. Requires 18″ Clearance to Combustibles. 5 Inch Stainless Steel Stove Pipe Double Male Connector-Made in Maine, USA!! The right size for the right price! Made of 24 gauge 304 stainless steel with a polished finish. One end will be crimped to go into a single wall 5″ pipe, one end will receive a 5″ crimped single wall stove pipe. 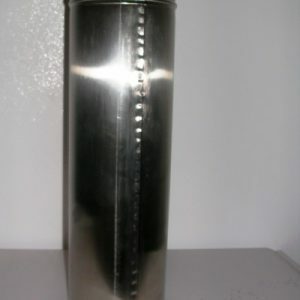 5 inch stove pipe 24 inch Stainless Steel Stovepipe Liner Made in Maine, USA!! The right size for the right price! One end will be crimped to go into a single wall 5″ pipe, one end will receive a 5″ crimped single wall stove pipe. Single Wall Connector Pipe. 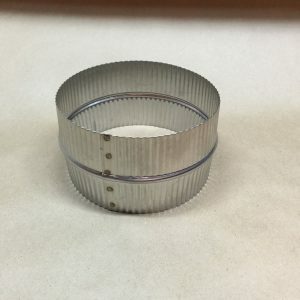 5 Inch stove pipe Draw Band Collar — Made in Maine USA!! The hardware to attach the draw band collar is all stainless steel for superior strength. This draw band collar is stainless steel, 304 grade Stainless Steel so it will never rust. If you are looking for an attractive and sturdy addition to your stovepipe, this is it! 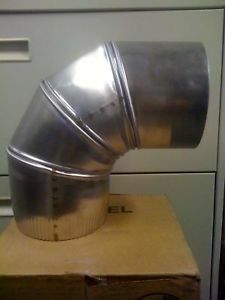 5 inch stove pipe Stainless Steel Chimney Cap Made in Maine, USA!! This is a 24 gauge 5 inch clean out tee for round stovepipe liners, wood stoves, and furnaces. The seams are welded, not riveted for superior strength. This tee is stainless steel, 304 grade Stainless Steel so it will never rust. If you are looking for an attractive and sturdy addition to your stovepipe, this is it!! The tee will come as pictured; crimped on the bottom end to fit inside a 5″ single-wall stovepipe or 5″ tee cap. If you need more ends crimped, please let me know and I will be happy to do so free of charge. 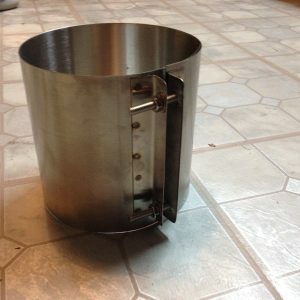 5 Inch stove pipe Stainless Steel Storm Collar — Made in MAINE, USA!! 5 Inch Stove Pipe Tee Cap — Made in MAINE, USA!! 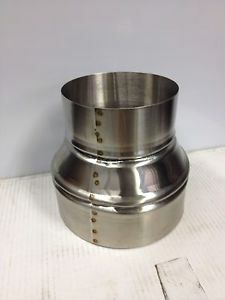 5″ to 7″ stove pipe Stainless Steel Single Wall Adapter — Made in MAINE, USA!! The seams are welded, not riveted for superior strength. This adapter is stainless steel, 304 grade Stainless Steel so it will never rust. If you are looking for an attractive and sturdy addition to your stovepipe, this is it! 6 Inch Stainless Steel Stove Pipe Double Male Connector Made in Maine, USA!! This is a single wall 6 inch stovepipe double male connector to connect two female ends of 6 inch single wall stovepipe. 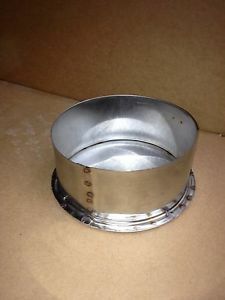 6 Inch Stainless Steel Stove Pipe Tee Cap Made in Maine, USA!! Tee cap is 24 gauge 304 stainless steel with an attractive polish finish! 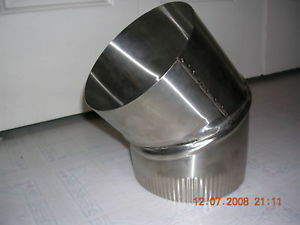 6 inch stove pipe 12 inch Stainless Steel Stovepipe Liner-Made in Maine USA!!! The right size for the right price! 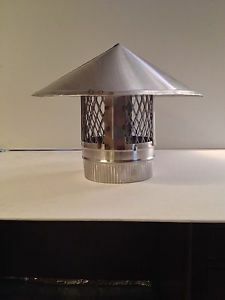 It is made of 24 gauge 304 stainless steel with a polished finish.One end will be crimped to go into a single wall 6″ pipe, one end will receive a 6″ crimped single wall stove pipe. 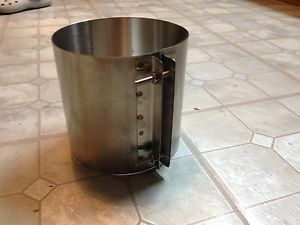 6 inch stove pipe 18 inch Stainless Steel Stovepipe Liner Made in Maine USA!! This is a 6 inch x 18 inch long stainless steel stove pipe, 18″ AFTER installation. 6 inch stove pipe 24 inch Stainless Steel Liner — Made in MAINE, USA!! Not so here at Dan’s Rugged Pipe! The right size for the right price! Single Wall Connector Pipe. Requires 18″ Clearance to Combustibles. 6 Inch stove pipe Draw Band Collar — Made in Maine USA!! 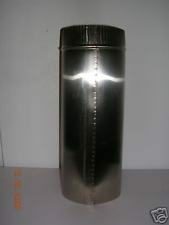 This is to connect two female ends of single wall stovepipe together without drilling holes in the stovepipe. The hardware to attach the draw band collar is all stainless steel for superior strength.